Estremoz is one of my favorite towns – forgive me its inhabitants, but I cannot resign myself with it being promoted to city. It’s just that the word “town” has a charm that city has not. Well … Estremoz is worth a visit. For me, the Alentejo is The Portuguese Region… the Douro with its terraces matches it, but concerning the landscape of its populated areas I have plenty of sorrows. The Além Tejo is complete and it’s the best preserved Portuguese region, from the Guadiana to the Atlantic, from the border with the Algarve to the great Iberian river. It’s worthwhile taking a few days to get to know this South. The foundation took place during the period of the Roman occupation. Its most imposing monument, the castle, has an uncertain date. The Directorate General of Cultural Heritage points out, with uncertainty, to the period of the dynastic crisis, which led Dom Afonso III to the throne, in 1248, second son of King Dom Afonso II and Dona Urraca, daughter of Dom Afonso VIII of Castile. It’s because of Dom Afonso III that the castles managed into the heraldic shield of Portugal, derived from the coat of arms of his maternal grandfather. Dom Afonso III was the one who completed the conquest of Portugal’s mainland in 1249, with the taking of Faro. He was the second Portuguese monarch to bear the title of King of the Algarve, a merely honorific fiefdom. This ruler also held an important legislative reform, the so called Ordenações Afonsinas. But the most fascinating historical figure bonded to this monument is Dona Isabel of Aragão, Queen consort, married to Dom Dinis, son of Dom Afonso III. To Dom Dinis is owed the salvation of the Cavaleiros Templários, through the transformation of the Ordem dos Pobres Cavaleiros de Cristo and the Templo Salomão na Ordem de Nosso Senhor Jesus Cristo, which would lead, in the second dynasty, to the creation of the Portuguese empire. This monarch was nicknamed “The Ploughman”, because of the impulse he gave to agriculture. To Queen Isabel many miracles were attributed and she was canonized by Pope Leo X in 1516. Her most famous miracle was to turn bread into roses. It is said that she secretly distributed bread among the poor and, the King, intrigued by rumors, that did not pleased him, surprised her when she was carrying food to the poor. When asked about what she was hiding in the dress, she said: “They are roses, sir”. And, from her lap dropped down pretty flowers. Identical wonders are attributed to St. Elizabeth of Hungary, her maternal aunt, to Santa Cecilia and to Santa Zita. The Castle of Estremoz was one of the residences of Dom Dinis, and within it died Queen Santa Isabel. Today, the monument is a hostel, so the visitor can experience closely some of the history of Portugal. On to the wine, the reason of this written visit to Estremoz. 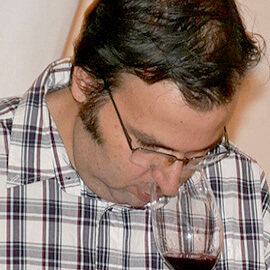 One white and one red João Portugal Ramos, winemaker and producer who several times has been the subject of texts here at Blend – All About Wine. Vila Santa – Estremoz is a land of marble and this vinous reference may well be compared to that rock: beauty and strength. 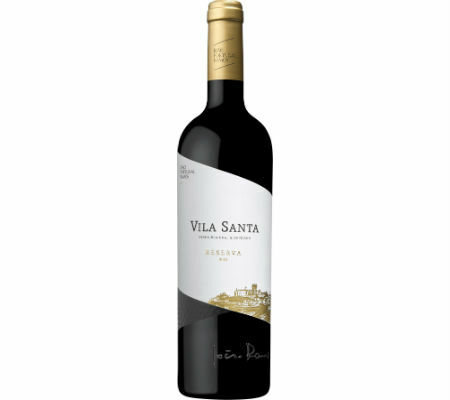 Vila Santa Reserva Red 2013 is a safe bet of the vinous Alentejo. I say it’s safe because those who buy it know that they are taking a wine that will not disappoint in quality. It has what I admire in wine: consistency of quality and of translation of the year. If there is a formula, it is to judiciously choose the grapes, allowing the nature to tell its version of life. Elegant, easy to get lost into and with an acidity that belies the 14% alcohol. The Vila Santa Reserva Red 2013 is the result of a blend of Aragonês, Touriga Nacional, Syrah, Cabernet Sauvignon and Alicante Bouschet. The technical sheet does not indicate the percentage of each variety. I take it, that because it isn’t in alphabetical order, this reflects the greater weight that each grape variety has in the whole. A portion of the grapes were trodden in marble mills and another in wood vats, followed by post-fermentation maceration. The wine aged nine months in American and French oak barrels. The second wine is also a renewed classic. The Marquês de Borba brand is also a guarantee. It does notoscillate, it’s reliable. You may like it more or like it less, but the pattern does not slip. Now I write about white, concerning the 2015 vintage. 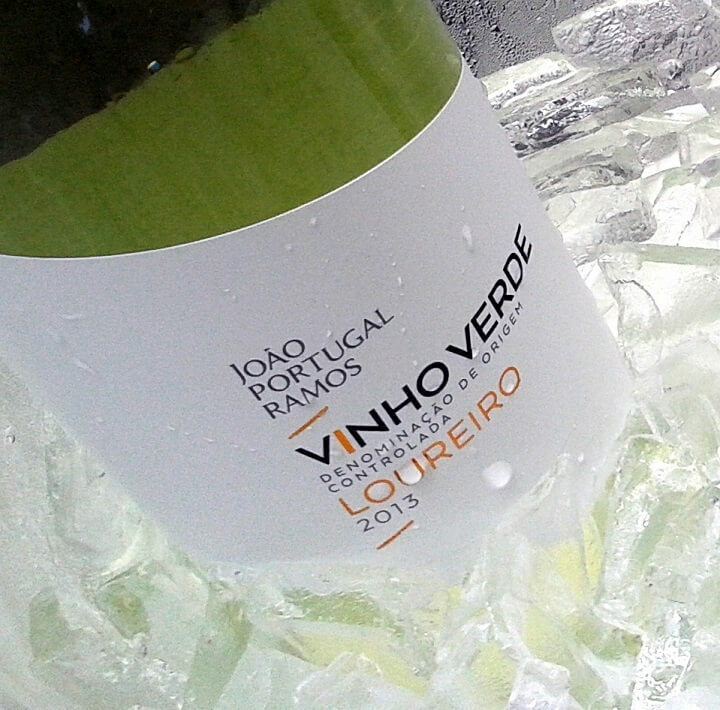 Now, the wine is a blend of the grape varieties Arinto, Antão Vaz and Viognier. It’s a wine asking for the summer to arrive soon. It has the virtue of an alcoholic degree that, unfortunately, doesn’t always exists: 12.5%. Thus, it has a lightness that defies the most fragile and summer foods, but also fit for conversation and laziness. The low alcohol content and the Arinto grape variety make wonders. I think that, as in previous vintages, it meets the wine lovers taste. It is not “my” wine – and I’m only speaking about personal taste, not criticizing the quality of the nectar. The justification is that same old “damned” grape. 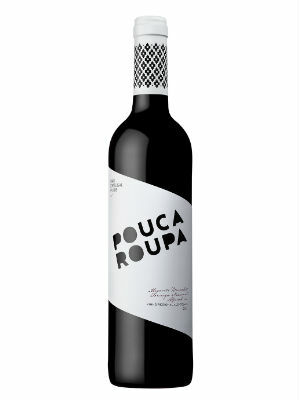 I have a problem with the grape variety Antão Vaz … little to nothing can I do about it. It’s not a problem of the wine or the grape, it’s just my mouth does not sympathize with these grapes. My compliment to the Arinto is because I feel it as an antidote to my white grape variety tantrum of choice. 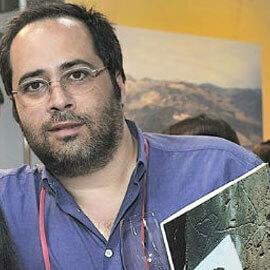 The adventure of João Portugal Ramos in the wine world began in 1980. Having had vineyards in Dão, Lisboa and Setúbal, today his presence is now limited to the regions of Alentejo, Tejo, Beiras and Douro. 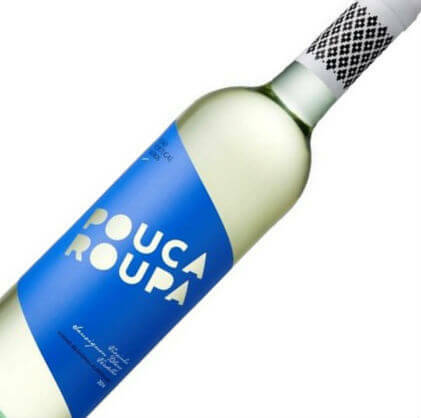 The international channels of distribution asked him for a Vinho Verde, and that was what he did launching in 2010 his first wine from that region, the Lima Loureiro exclusively for the American market. 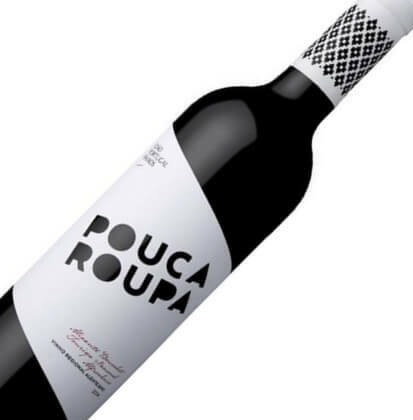 Having consolidated the project based in Monção, an investment of approximately 1 million Euros, he successfully launched in the harvest of 2012, the João Portugal Ramos Alvarinho (Portugal, UK and USA). 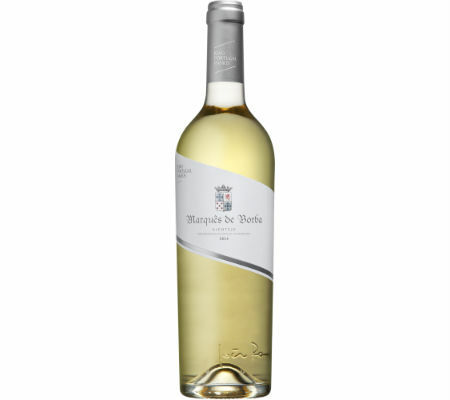 Now comes the time to unveil in the Portuguese market and with equal success, the João Portugal Ramos Loureiro 2013 (€ 3,79 RRP). 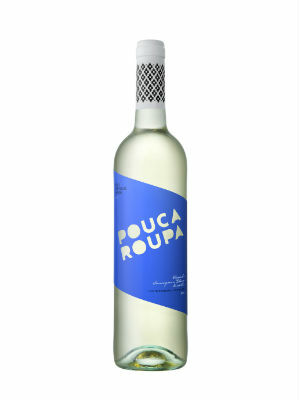 A wine with a very fresh and elegant aroma, citrus fruits, lemongrass and aromatic herbs, combined with a strong minerality. 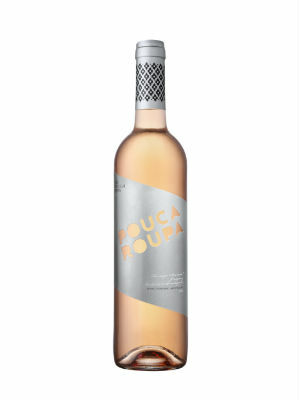 On the palate, it has good acidity and refreshing flavors, with a lasting finish. 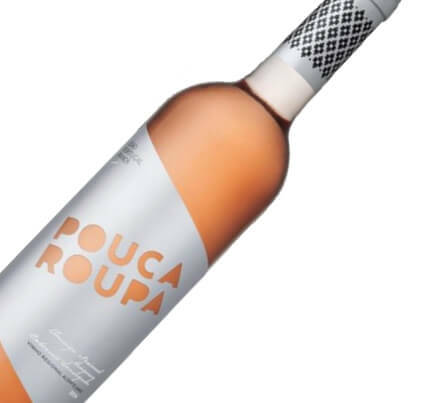 The Vinho Verde region receives the maritime influence and therefore its wines are a truly welcome symbol of summer, a perfect pair with shellfish, ceviche or to enjoy as an easy-to-drink summer wine.